Included: W10 universal IEMs, 3-button cable with microphone, Westone BT v1 cable, 5 pair Star silicone and 5 pair True-Fit foam tips, exchangeable plastic faceplates, small premium carrying case, 2 year warranty. W10-2 has an average size soundstage width with more out of your head depth, extending further out. 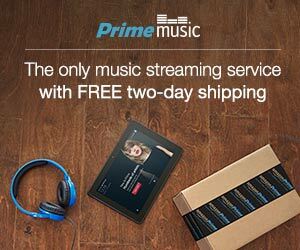 The bass is very neutral, nearly flat across sub-bass and mid-bass. Mids are more forward, bringing more attention to vocals, sound clear, natural, and a little more revealing. Treble is well defined, a little brighter and crisper, but under control without a hint of sibilance. These IEMs are definitely tuned with more focus on mids/vocals and extra details in treble. Don’t expect too much bass impact here. I never heard the original W10 but have been told the sound tuning of the new ones remained the same, thus I’m comparing it to Pro10-2. W10-2 vs UMPro10-2 – A lot of similarities here, and a few differences as well. Soundstage is a touch wider in Pro, while the depth of the stage is nearly identical, with the same out of your head positioning. Bass goes a little deeper and has more quantity in Pro, while W is more neutral, flatter. Mids are nearly identical, being more forward, clear, natural, and a little more revealing. The same with treble, nearly identical in this comparison too. Included: W20 Universal IEMs, 3-button cable with microphone, Westone BT v1 cable, 5 pair Star silicone and 5 pair True-Fit foam tips, exchangeable plastic faceplates, small premium carrying case, 2 year warranty. 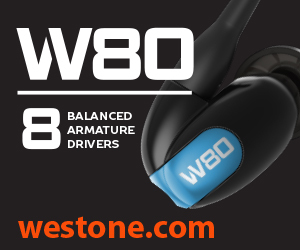 W20-2 has above average soundstage width with a nice depth, more out of your head. Good sub-bass extension with a tight mid-bass punch, but overall bass has a more neutral quantity, though with a little more rumble and stronger mid-bass punch in comparison to a more neutral W10-2 bass. Mids are more forward, bringing more attention to vocals, sound clear and natural. Treble is well defined and well controlled, non-fatigue, sounds relatively natural as well, smoother than W10-2. 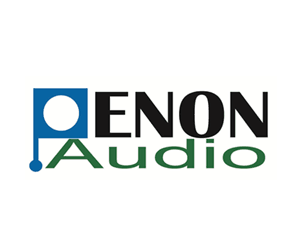 These IEMs tuned with more focus on mids/vocals details, have a decent low end quality with just a touch north of neutral quantity and a good treble definition. I never heard the original W20 but have been told the sound tuning of the new ones remained the same, thus I’m comparing it to Pro20-2. W20-2 vs Pro20-2 – Pro soundstage is very similar except I feel like mids are even closer to you, being more inside your head in comparison, while W extends a little further. Sub-bass of Pro goes a little deeper and mid-bass punches a bit stronger, while W bass is closer to neutral. W mids have a little more forward presentation and sounds more transparent (less colored) in comparison to Pro being warmer and a smoother (more coloring). Lower treble is where I hear a big difference with W being more natural and more controlled, while Pro being brighter, crisper, and even showing signs of sibilance in some poorly recorded tracks. Also, W20-2 is a lot smaller in size when compared to UM Pro20-2. 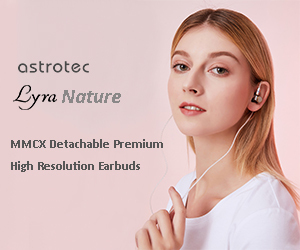 Included: W40 universal IEMs, Silver plated copper cable, Westone BT v1 cable, 5 pair Star silicone and 5 pair True-Fit foam tips, exchangeable metal faceplates, medium premium carrying case, 2 year warranty. W40-2 has a higher resolution and better dynamics when compared to W10-2/W20-2. Wider soundstage expansion (more width than v2 W10/W20), and the same out of your head soundstage expansion depth. Bass here goes deeper, with more rumble, and mid-bass hits harder, with more punch in comparison to W20; bass actually sounds more analog, like a dynamic driver, with an average attack/decay speed. Lower mids are closer to neutral, while upper mids are more detailed, more revealing, still clear and natural, a little laidback, also with an improved layering. While v2 W10/W20 are more mid-forward, in comparison to W40-2 their rendition of vocals is a little flatter, while W40-2 mids/vocals sound more dynamic. Treble is well defined, crisp, has a nice sparkle, and no sibilance; it’s brighter than v2 W10/W20, but not harsh, though there is a touch of “s” accentuation here, but it’s under control. Overall, the signature here is more balanced with a little more laidback presentation of the sound. 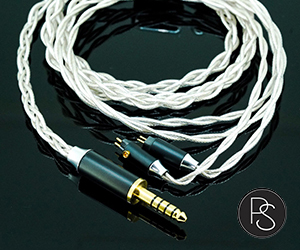 W40-2 with Silver-plated vs Epic cable – the main difference I’m hearing is soundstage being a little wider with SPC cable and mids/vocals sounding a little more revealing. Another difference, when you listen closer, SPC cable yields a blacker background. W40-2 vs W40-1 – The soundstage here, in both width and depth, are nearly identical. When it comes to tuning, I hear some noticeable differences. The original W40-1 bass has a very similar extension and quality, but the bass quantity in W40-2 is more elevated and sounds more analog; W40-1 bass is more neutral and a little faster/tighter, while W40-2 bass is more dynamic, deeper, with more impact. Mids, both lower and upper, are nearly identical in quality and quantity, being detailed and natural. 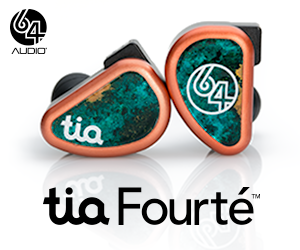 But treble is different again, with both being crisp and sparkly, but W40-1 is brighter and harsher in comparison to W40-2 sounding more natural and less fatigue. I never really thought of the original W40-1 treble as being fatigue, but when you compare these two side-by-side, you can hear the difference.